As truck drivers, we're used to getting dinged by the general public for everything from driving too fast, to driving too slow, and sometimes for even driving at all. Seriously, some guy in the comment section of an article I was reading said they should just take trucks off the road altogether. Sometimes the dings come from our own people, working in the very industry we dedicate a pretty big chunk of our lives to, and over the years the reputation of a truck driver has gone from being a King of the Highway to being a Pariah on 18 Wheels. We fight hard, daily, to bring our status back to that of the glory days of transportation. No one knows what our experience as a driver - on the road, away from family and friends - is really like unless they've done it. Or are close to someone who's done it. Even then, I'd bet many drivers don't tell their loved ones what it's really like all of the time. We see a lot on the road - the beauty of a nation, the changing seasons, the sparkle of the oceans from coast to coast, the beautiful sunrises, the glorious night skies. We also see the driving habits of others (don't even get me started), destruction, accidents, and sometimes even crimes, tragedies, or moments when you're the first person on the scene witnessing a situation where help is needed immediately. Sometimes, a truck driver is the true "unofficial" first responder. That's where the heroes of the highway come in. And The Goodyear Tire & Rubber Company has been putting those heroes in the public eye for over 32 years. The 2014 Highway Hero Award recipient is Clinton Blackburn. He's shown in the photo below with County Jailer Darrell Herndon, the man he saved from what definitely appeared to be a life-threatening situation. From the Goodyear website: "Clinton Blackburn was driving when he saw a sheriff’s cruiser abruptly stop. Inside the car, a prisoner who was being transported was strangling a sheriff’s county jailer from behind. Blackburn ran to the car and began struggling with the prisoner, who then pulled the jailer’s gun from its holster. Blackburn grabbed the gun, turned it around and pointed it toward the prisoner. 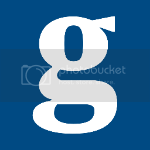 Working together, Blackburn and the jailer subdued the prisoner." Kudos for Clint are well-deserved! Can you imagine? Hell, half of the time the only thing I'm looking out for on the road are deer heading in my direction - I'm a night driver, it happens a lot - yet Clint not only identified a dire situation, he immediately reacted to it. Clinton can be seen here accepting his award this year at the Mid-America Trucking Show (MATS) in Louisville, Kentucky. You'll also hear a few emotional words from the man he saved. People think we only bring them beer and toilet paper. But as these past Highway Hero Award recipients have displayed, sometimes we also deliver a way for them to literally keep living. In addition to being recognized by fellow drivers and others in the trucking industry, the recipient of the 33rd Goodyear Highway Hero Award will receive a generous cash prize, a special trophy, and a Highway Hero Award ring. The New England Patriots aren't going to be the only ones sporting a hefty memento like this, commemorating an outstanding performance. Of course, saving lives is way more worthy of a ring than kickin' a pigskin is. This is your chance to get involved! Do you know anyone worthy of wearing this ring? If so, why don't you take a few minutes to nominate them? Give them a chance to get a little extra recognition for their selfless act. Most of these men and women will probably tell you that they did what any good person would do. That they're not heroes. That they were just doing their job. That they were in the right place at the right time. That all may be very true. And the gratitude from the people they helped is probably enough of a thank you for these drivers. But a sweet 'ol ring and a little stash of cash never hurt anyone. And I might even pay money to see a truck driver cry. For a good reason, of course. 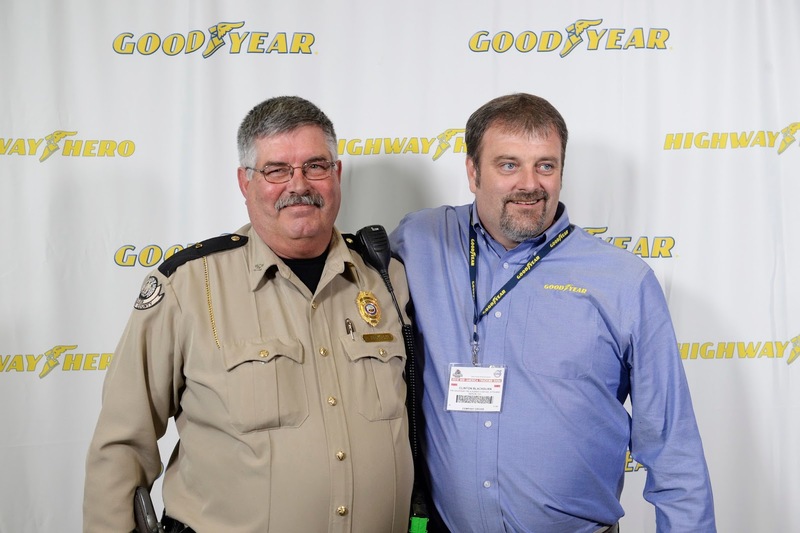 The Goodyear Tire & Rubber Company is now accepting nominations for the 2015 Highway Hero Award. Click HERE to read the nomination criteria and to fill out the online form. And for all you cavemen and women, they also accept nominations by snail mail. Now get to it! The deadline for nominations is November 29, 2015!! Nice to see truckers getting good publicity for all they do for us!